by Henry Moore R.A; R.W.S (1831-1895). Henry Moore R.A (not to be confused with the 20th century sculptor of the same name) was one of the most significant painters of the Victorian period. When Moore died in 1895, The Times wrote that the nation had lost “a landscapist of the highest order”. In later life, Moore became internationally famous as “the foremost painter of seascapes” but his early and mid-career was concerned mainly with studies of animals and landscapes. He was a passionate naturalist and believed strongly in painting from nature. The meticulously detailed landscape in the painting is probably a real location in North Devon, where Moore made prolonged sketching trips in the late 1850’s. The year before, Moore had made detailed studies of deer (recorded in The Studio magazine) possibly in preparation for this painting. The stricken fawn in the foreground is depicted beneath by a thriving stand of foxgloves - the petals dropping around its body. Foxgloves are poisonous to deer and the implication is clearly that it has been poisoned. It is a powerful narrative, encapsulating, in a poignant tableau, both the beauty and cruelty of nature. 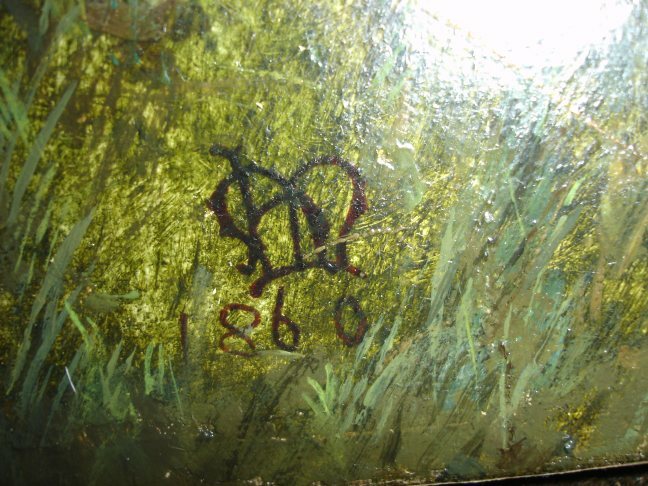 The picture is signed bottom right by Moore but, intriguingly, the painting also bears the monogram (bottom left) of Sir John Everett Millais from that year (his monogram changed periodically) conjoined with the letter ‘h’ (Henry?) and a date, 1860. The extent of Millais’s involvement in the painting is not known. The pair were related via Millais’s mother but the exact extent of their collaboration is unknown. Millais was already a major figure in the art world in 1860 and a founding father of the Pre-Raphaelite movement. 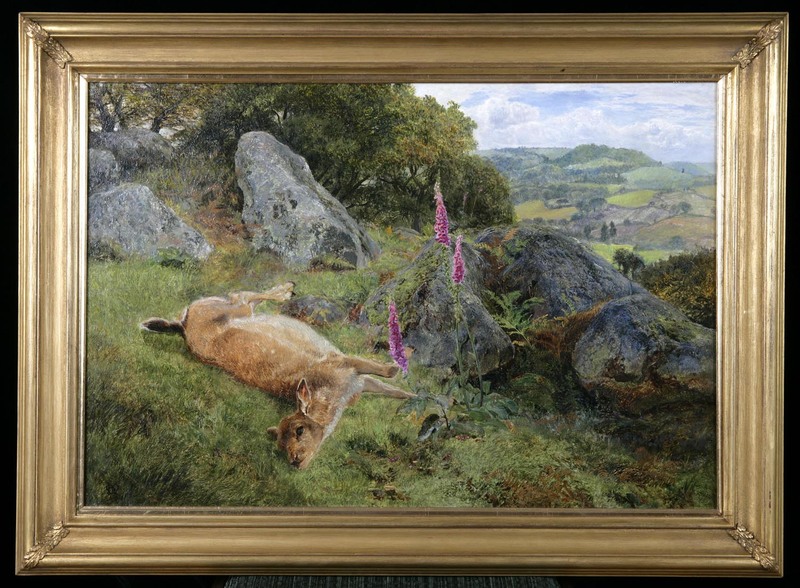 The pair of artists – 29 and 31 respectively at the time this work was painted - are known to have met regularly on a friendly basis and admired each other’s work and there is certainly a pre-Raphaelite quality in the almost photographic depiction of the rocks and foliage in the picture.